Download the amazing macOS version on the MacAppStore. All Scales in Music. More approaches, more patterns, more time signatures, more options. Download the iOS version on the AppStore and take Tessitura with you anywhere you go. 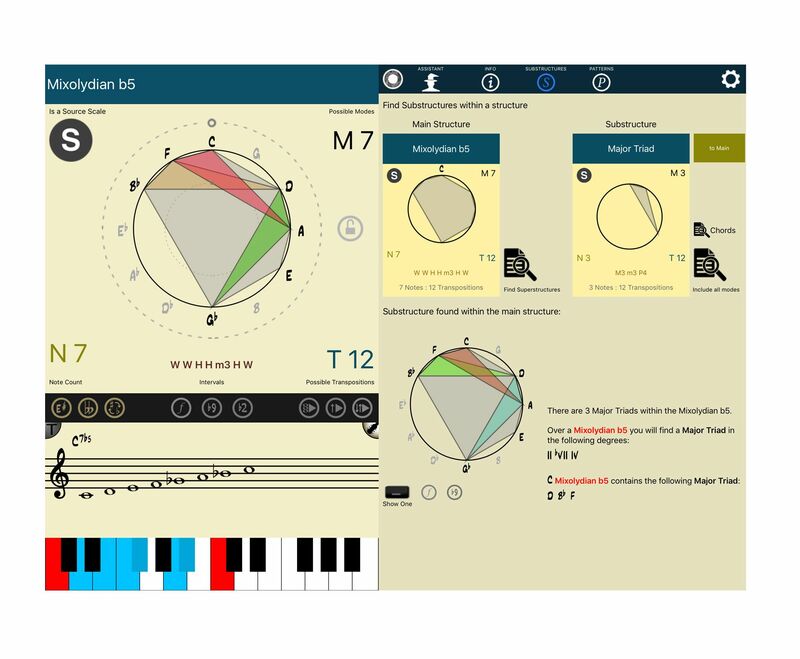 Tessitura Pro graphs scales over the circle of fifths allowing you to view the scales from an unique point of view where al modes of that scale are related (same graph rotated). It also shows all the relevant info for a scale such as symmetry, amount of transpositions and modes and much more. Tessitura Pro comes loaded with a huge collection of step-skip patterns, rhythmic patterns and approach notes which you can apply to any scale in music. Combining these elements will allow you to create endless amount of exercises to practice scales like never before. 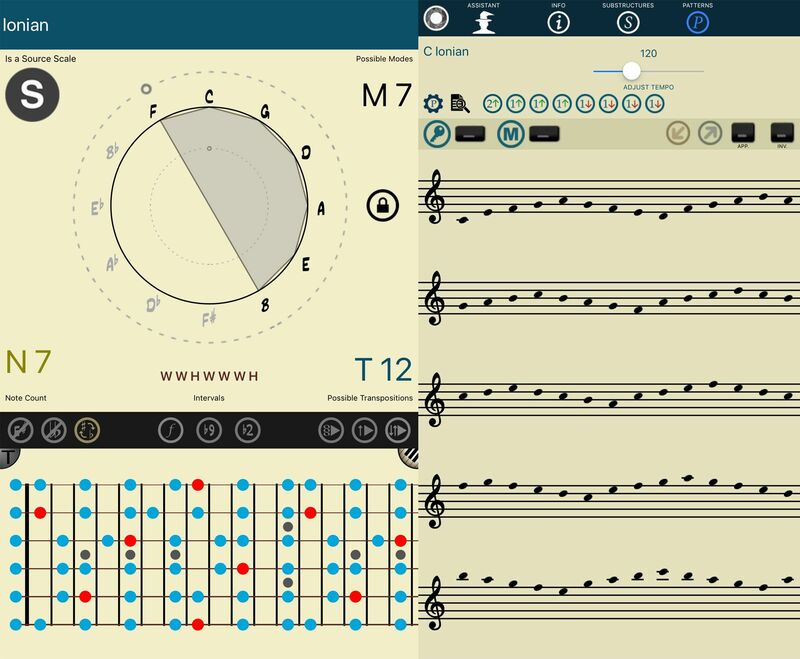 Tessitura Pro offers standard music notation and tab notation for guitar including a fretboard to view any scale in any key. Find Upper Structure Triads or any other sub-structure (scale or chord) that is contained in any scale or mode. Ideal for improvisation and voicings. In Tessitura Pro we have included all musical structures, 333 source scales with a total of 1948 scales and modes. If you’ve wonder how many scales are possible in music, wonder no more… now you’ll have them All! 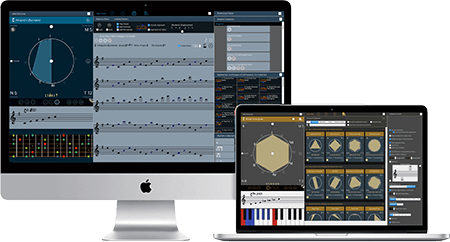 In Tessitura Pro you can create your own melodic patterns and include different kinds of approaches, escapes tones and ornaments. Tessitura Pro comes loaded with collections of pre-made step-skip patterns, approaches and rhtyhms that will make the creation of new music a breeze. Pick any pattern, approach, and rhythm from the collections included in the app by simply dragging & dropping into the music staff. 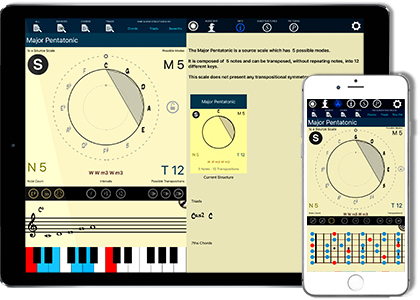 Tessitura Pro will apply them to the scale of your choice and write the music for you. Infinite practice patterns with approaches for any scale, chord, or any other kind of music structure. Study Upper Structure Triads, Quartals, Sevenths and more... Learn where to use them for improvisation or chord voicings building.